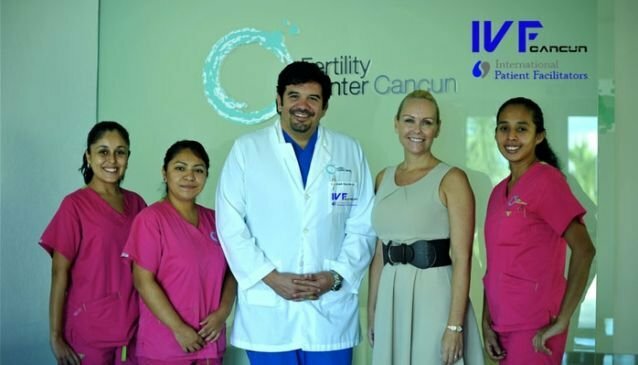 At the Fertility Center Cancun, Reproductive Specialists are national leaders in reproductive science and are some of the most accomplished and respected doctors in the infertility field. Their in vitro fertilization results and pregnancy rates are among the best, and you will find why the latest generation clinic and beautiful caribbean environment are perfect for the success of your pregnancy. Regarding Medical Tourism you will have access to full informed consent, budgets and all technical information regarded the assisted reproduction treatment to be done for you to read at home. You can contact the telephone number presented and clear any doubts about the process.